A regular communique from Susan & Bill designed to connect, inspire, and inform our network of Learning Labs. We’re flexible about when you share your final product (Telling the Story of My Learning Lab) with us. When you do, you can expect a round or two of feedback to help us wrap up well. Be in touch anytime, if you’re wondering how to proceed. We’re hoping you’ll consider joining us for another year to deepen what you’ve begun and to bring a colleague on board. Here’s the Application for Returning Students. Please be in touch with any and all questions. If you know of a colleague whom you think would be a great candidate for Learning Lab, please pass along our Learning Lab Application. We failed to find a summer date that everyone can make, but it looks like many can make Monday, August 6 from 4 – 7 in Burlington. Book it, and we’ll be in touch with details! and to learn where you are in the homestretch of this course (and how we can help you reach the finish line). So excited to formally announce a Learning Lab pathway for those of you interested in returning! We’re hoping you’ll consider joining us for another year to deepen what you’ve begun and to mentor a colleague. Learn more by reading through the application. This Week’s Prompt: Where in the World am I Now? Our May 15 deadline arrives Tuesday. By the end of Tuesday, please complete this short google survey to convey where you are and what you need, as you set your sites on publishing your The Story of My Inquiry on your Educator Profile page. (We’ve also included a question that proposes dates / times for when we can gather to celebrate!). For a little inspiration as you wrestle with reams of video footage, images, survey feedback, etc. during this final push to tell your story, check out Stephanie’s short imovie: Community Building 2017-18 as an example. It currently lives on her Educator Profile page along with some short text setting the context for their journey into personalization. Bill and Shaun from PAML made the trip to Cabot to meet with Peter S and his students. You can tell how well that went from this week’s Quotation of the Week! If you haven’t made a visit yet, please arrange one (with or without students), and if you’re inspired to make another, go for it. This Week’s Prompt: My Progress / My Needs cont. Same as last week. Please open and update My Progress / My Needs to let us know how you’re doing as you prepare to publish to your LL mates your first full draft of The Story of My Inquiry. Please date these weekly / quick entries so we can more easily keep tabs on how we can help. Please make this week’s entry by the end of Saturday, April 28. No updates yet to the Coggle, our way of visually conveying the Learning Lab cross site visits to date. If you haven’t made a visit yet, please arrange one (with or without students), and if you’re inspired to make another, go for it. Now is the time to get these in the calendar. Would hate to have to wield the Wall of Shame once again, though we are making no promises. Anyone game for joining this Friday’s Hot Topic Hangout (4/27), which will be framed by the question, What progress / problems are we experiencing as we create The Story of My Inquiry? Please let us know if you’re attending or not by simple putting a “Y” or a “N” in the right spot. Same as last week. Why? Because each week leading up to our May 15 deadline–when you’ll publish to your LL mates your first full draft of The Story of My Inquiry–we’ll ask you to update this document, My Progress / My Needs. Please date these weekly / quick entries so we can more easily keep tabs on how we can help. Please make this week’s entry by the end of Saturday, April 14. This Friday’s Hot Topic Hangout will be framed by the question, What progress / problems are we experiencing as we create The Story of My Inquiry? Please let us know if you’re attending or not by simple putting a “Y” or a “N” in the right spot. By May 15 you will publish your first full draft of The Story of My Inquiry to your Learning Lab mates. To help all of you meet that deadline, each week we’re going to ask you to provide an update in this document, My Progress / My Needs. Please complete this by the end of Saturday, April 5. We’ve entered The Final Run, the fifth and final phase of this year’s Learning Lab. We’re not sure if this visual is helpful to you, but it sure helps us! Thanks for all the helpful feedback you gave us in the google survey you completed at the end of our recent overnight. You suggested we should sustain Hot Topic Hangouts, so we’re going to have our next one Friday, April 13 (from 3:30 – 4:30). And a couple of you posed questions to confirm your understanding of the difference between The Story of My Inquiry (the polished / multi-media / public findings of your Learning Lab) and The Story of My Learning Lab (the blogposts on the backside of the website that only your LL mates and us see). For now, just focus on the former and don’t worry about the latter. Once all of you have your public products polished and pretty, we’ll turn to the messy side of the street. We’re so looking forward to this Friday’s overnight. Here are directions to The Common Ground Center, and here’s a picture of the Eco-Lodge, where we stay. If you’re uncertain about anything, please refer to previous Huddles or contact Susan or Bill with your questions. Lower the bar for this first draft of your visual. It’s okay if it’s a paper / pencil, child-like quality visual that doesn’t make total sense. It can take a dud or two to get to golden nugget land. Check in with your Learning Lab mates’ blogs to see the drafts they’re posting (so far: Stephanie, Chris, Sam). And please keep in mind: yours does not have to be anything like theirs. This short survey has already generated responses that are helping us make sure our March 23 overnight is in sync with your needs. Looking forward to hearing from all of you. You’ll see connections between what we asked you to do way back when and what we’re asking you to do here right now. If you haven’t completed an assignment or two, you can figure out which ones are worth reconnecting with, as you get ready for our overnight. We thought it might be helpful to remind you of a range of tools that can be used to tell the story of you and your Learning Lab. As we approach the final stage of this course (Final Run), occasionally revisit & update your Tracking and Targeting My Learning Lab Learning. It will help connect the dots. We are so excited for our upcoming overnight (Friday, March 23), when you will begin designing, drafting, and tuning your final products for this course (Telling the Story of Me & My Learning Lab). To help us prepare for the overnight, please complete this short survey, which checks in on your current thinking / questions about your final product. Almost everyone has opted for the hard deadline (March 17) for drafting and posting your response to Huddle 24’s prompt. Please make this deadline! This draft will become a vital part of your final product, and we’ll be considering / revising these during our March 23 overnight. Here’s the Assignment Checklist we created to make it easier to track what you’ve done and what needs doing. Stephanie and the PAML crew have access to a media kit (ipad, microphone, and tripod) for ready access to capture ongoing work. If you find a need for equipment to video your learners in action, let us know and we can plan to get a media kit in your hands for a specified amount of time. By our next overnight, all of you should have made a visit to another Learning Lab site. If you haven’t already made these arrangements, please do so asap; if you’ve run into a jam, let us know pronto. Read this brief article by Marzano, which describes why and how to have learners create visuals that represent key ideas. Draft a text (no more than 150 words) that explains how the visual represents your distilled answers to our three questions. Some in our coaching sessions last week found it helpful to use this quick Assignments Checklist to see both what they’ve already accomplished and what might be hanging out there that they might have missed. Friday, March 23 is our next overnight, and by then all of you will have made a visit to another Learning Lab site. If you haven’t already made these arrangements, please do so asap; if you’ve run into a jam, let us know pronto. Stephanie and the PAML crew have access to a media kit (ipad, microphone, and tripod) for ready access to capturing ongoing work. If you find a need for equipment to video your learners in action, let us know and we can plan to get a media kit in your hands for a specified amount of time. Each week we’ll be on the lookout for a compelling line that we read / hear one of you say. We had a lively and well attended Hot Topic Hangout (HTH) on Friday, when we considered the question, How can team or school schedules enable the types of personalized learning experiences for students that we’re striving for? So many great ideas in this set of slides; thanks to all who contributed. Here’s a recording of the entire hangout. We’re in the midst of editing this gem down to make it easier to navigate; look for that sometime early this week. We’ve scheduled many of our in-person coaching sessions (three are up this week), and we hope to get the rest finalized this week. A friendly nudge to those of you who haven’t already completed this Huddle 21 prompt (“check out this screencast to learn what to do with this template, in preparation for our upcoming coaching session with each of you” ). Next week this friendly nudge turns into the Wall of Shame, and really, who wants that? Please avoid that unpleasantry. Here is a description of Telling the Story of Me & My Learning Lab, this course’s final product, aka the summative assessment. As you read this, and in preparation for our upcoming coaching session, make three lists: what makes sense, what I wonder, and what freaks me out. Please share this with Susan and Bill before your upcoming coaching sessions. Check out this visual Susan made to display your visits to each other’s sites. (As you can see, last week Peter Stratman visited Sam in Shelburne.) Looking forward to seeing this visual grow! If you haven’t already, be sure to schedule your visit to one of your LL mate’s sites asap. Also, please alert us by including the information in the Scheduling form on our Educator Profile page. Last week we offered an optional Learning Lab Challenge, inviting your students to review our Educator Profiles in search of a site to contact with a FlipGrid. If you and your students decide to do this sometime in the next week or so, please share the FlipGrid with us and/or post to the blog a quick description of what happened and how it went. We’d love to know. Thanks. Our next Hot Topic Hangout will be this Friday, February 2 from 3:15 – 4:15, when we will take on the question: How can our students help us archive, reflect, and inform our Learning Lab research? We’ll be featuring a contribution from each of you (see this week’s prompt), and we’ll be digging into the questions and experiences of those of you who join us. Got an idea for a future Hot Topic Hangout? Please submit your ideas here. Last week someone submitted this question: How can team or school schedules enable the types of personalized learning experiences for students that we’re striving for? We’ve added this to our running list of possible topics, and we welcome other ideas. If you haven’t yet, please complete last week’s prompt, which asked you to check out this screencast to learn what to do with this template, in preparation for our upcoming coaching session with each of you. We’re going to use your responses to this week’s prompt during this Friday’s Hot Topic Hangout, so please take a run at it before Friday at 3:15! Check out this quick screencast, and then locate & complete your slide. And thanks for the ongoing contributions / conversations going on in our Sharing and Tapping Our Collective Wisdom. Hear our network crackle. One of many takeaways from Friday’s Hot Topic Hangout: showing students our Educator Profiles page and inviting them to explore the different Learning Lab sites helps begin and deepen the conversation about what it means to be a student in a Learning Lab. For those students / sites interested, here’s a Learning Lab Challenge for the next couple weeks. Review our Educator Profiles page, and choose a Learning Lab to contact. Create a FlipGrid that describes who / where you are & poses some specific questions about their school / their Learning Lab. Send your FlipGrid & expect a FlipGrid reply. This week we’ll be reaching out to schedule with each of you a coaching session devoted to helping you define and navigate of your particular pathway to our common destination. This week’s prompt will help us get ready for these conversations. In preparation for our upcoming coaching session, when we’ll sit together with each of you and begin mapping out the second half of the year, please check out this screencast, which describes what we’d like you to do with this template. Deadline: Please complete and share this with us by noon on Sunday, January 28. Great to see the sharing going on in response to last week’s prompt, Sharing & Tapping Our Collective Wisdom (and have you checked out some of the action on Slack lately?). This week please revisit and continue feeding / commenting within our Sharing & Tapping Our Collective Wisdom. As you find yourself getting clearer about your Learning Lab, please visit and tweak your Learning Lab profile so it’s up to date. We’re setting up a Hangout this week with Sam and Lindsey to explore The Why, What, and How of Creating a Student Leadership Team; we’ll be in touch with details, for those interested & able to join. Please be sure to use the scheduling form embedded in your profile pages to schedule cross-site plans. (We will get notified when you do this so we can keep track of who’s going where when.) And if you haven’t already, scroll down on our website’s About Us page to check out the nifty pins that put all of your Learning Lab’s on the map! In the best learning settings, learners receive feedback from a range of places, not just from The Teacher. When a class is really cooking, students turn to each other to get questions answered. With this in mind, we created this document (Sharing & Tapping Our Collective Wisdom). Please skim over the categories of questions, before contributing comments, strategies, and/or resources that might help a colleague who’s wrestling with these questions. Deadline: Please complete make your contributions by the end of Saturday, January 20. When scheduling Learning Lab visits, please be sure to use the scheduling form embedded in your profile pages to make cross-site plans. (We will get notified when you do this so we can keep track of who’s going where when.) And if you haven’t already, scroll down on our website’s About Us page to check out the nifty pins that put all of your Learning Lab’s on the map! Here’s a letter we’ve drafted to introduce Learning Lab to students. We recommend sending it to them digitally so they can access the links. (Might be good to project it, too, so you can poke around together.) We plan to write them again next week with a simple challenge. Open to feedback! As we read and considered your mid-year reflections, we decided to excerpt from each of yours some particularly lively / vivid language that we then played with to draft a found poem, Midyear Musings. We hope you like it. In the best learning settings, learners receive feedback from a range of places, not just from The Teacher. When a class is really cooking, students turn to each other to get questions answered. With this in mind, we created this document (Sharing & Tapping Our Collective Wisdom). Please skim over the categories of questions, before contributing comments, strategies, and/or resources that might help a colleague who’s wrestling with these questions. Deadline: Please complete make your contributions by the end of Saturday, January 20. Happy New Year everyone, and thank you for your frank and insightful mid-year reflections, which both affirmed our belief in the power this Learning Lab model and clarified our sense of how we can make some mid-course adjustments to support you and your learners. This week we are drafting / preparing individual feedback / resources for each of you, which we’ll share with next week’s Huddle. Now that we’re in our Opening Run, scheduling visits is the priority. Susan has added to each of your profile pages a link that takes visitors to this sweet page. Very cool and effective way for people to request visits. For this to work, we need you BY FRIDAY to access and update this document (a consolidation of all of your scheduling comments from our website and Slack). Susan will use that updated info this weekend to edit the forms so the cool scheduling tool can do all it can do. Please make some time/space (good wi-fi / tasty beverage recommended) to check out this 20 minute Learning Lab 2017 Retrospective: Looking Back to Plan Forward, our way of priming you for the individualized feedback / resources coming your way with next week’s Huddle. As you take it in, take note of what ideas strike you, and then–no later than Saturday at noon–hop on Slack channel #2017retro and post a quick description (a few sentences will do, though more are welcome) of what strikes you about the process of looking back at where we’ve been to get clear about where we’re headed and what to do next. This week (Tuesday, Dec 19…tomorrow!) we’ve got a double-header at Lamoille, where Sydney and Lori and their students are hosting. If you’ve just realized you like to join us for part or all, just give us a holler. While there, we’re going to stop in to Chris Bologna’s classroom to chat & fire up some of his students about this thing they call Learning Lab. As we hoped, Friday with Carol Tomlinson (and beverages afterward) helped your learning lab mates think through our three essential questions (What is personalization? How is it similar to / different from differentiation? What are the design features of learning settings that get personalization right?). Here are some notes your coursemates made, which we’ll be taking a more structured look at after the break. So grateful for the thoughtful responses you’ve been posting in response to last week’s Huddle prompt. For those of you who’ve not yet posted, a gentle reminder–we will study these posts to determine the best ways for us to clarify outcomes and scaffold instruction right after break. So, please tell it like it is and be timely so we (Susan & Bill) can use some of our break time to prepare what you and your students need. And, if for some reason your post will not be up this week, please contact us so we can have a phone call / hangout before break begins to get in sync. Some of you have been contacted by a TIIE PDC to be interviewed, as part of TIIE’s ongoing research on Pathways to Personalization. Be on the lookout the rest of you for contact in the next two days. Thanks for scheduling these at your earliest convenience. We’re so curious to learn: what is one (or two) of your all-time favorite you tube recordings? If you were stranded on a desert island, and (even more unlikely!) you had unlimited access to one or two YouTube recordings, what would they be? Here’s where you’ll share’m. Due Date: Before the end of this week, so those who choose to can enjoy them over the holiday! We’re one week into last week’s Huddle prompt, which is due this Sunday, December 17th. As you respond to these prompts, know that we will study your responses to determine the best ways for us to clarify outcomes and scaffold instruction right after break. So, please tell it like it is and be timely so we can prepare what you need! Thanks. On December 19th, LUMS colleagues Lori and Sydney are hosting a visit. Robyn, Susan, and Bill are planning on it. We encourage those of you who can to join us. Who’s in? Last week we shared this short video to show and celebrate the hosting of our first Learning Lab in Shelburne. Susan’s now made a longer version, which will help you begin to envision how Sam and his students approached hosting their LL, in hopes that it will help inform your approach. We will link this right here later today, and we’ll send you an email to let you know when this happens. A group of us will be spending the day with Carol Tomlinson this Friday, December 15. We think the day (Student-Centered Learning, Differentiation and Personalization – How Does It All Fit Together?) can help us all refine our current answers to Learning Lab’s three framing questions. (What is personalization? How is it similar to / different from differentiation? What are the design features of learning settings that get personalization right?) Our team will pull together our findings and share them as part of next week’s Huddle. Three slides, a visual / shorthand way to think about the philosophy of differentiated instruction and how to differentiate. This short piece, which introduces Carol’s concept / tool The Equalizer, a helpful tool for differentiating by readiness. There was (and still is) a pushback against differentiation (and personalization) that claims they’re undoable. Here’s a compelling and revealing exchange that shows this debate in action. And here is a more current piece written by Carol Tomlinson that roots for, and challenges, personalization. You will be contacted this week by a TIIE PDC to be interviewed, as part of TIIE’s ongoing research on Pathways to Personalization. Please schedule these at your earliest convenience. How am I doing with scheduling a visit to one of my colleagues’ Learning Labs, and what are my next steps? What have I done so far to engage my students in our inquiry question, and how are they responding? Even if they are preliminary at best, what are some of my findings so far? As we pivot from conceiving of, designing, and creating our Learning Labs to orchestrating, documenting, and telling the story of our Learning Labs, what are my most pressing questions / wonders? Thanks to Sam Nelson and his students for hosting a team from RCSU as well as our very own Peter Nichols. Watch this short video of the Shelburne visit to get a glimpse into what transpired. A much more detailed view will be available soon. On December 19th, LUMS colleagues Lori, Chris, and Sydney are hosting a visit. Robyn, Susan, and Bill are planning on it. We encourage those of you who can to join us. Remember to regularly capture some stills and video of your students in action so you’ve got fodder to work with, when later in the course you look back to determine and tell the story of you and your learners’ learning. Very soon you’ll be contacted by a TIIE PDC to be interviewed, as part of TIIE’s ongoing research on Pathways to Personalization. Please schedule these at your earliest convenience. We’re nearing the halfway point of this experience, so in addition to designing & orchestrating our Learning Labs, we have begun going public with our experiences. These next few editions of The Weekly Huddle are devoted to helping all of you begin hosting and visiting Learning Labs. This Thursday Sam hosts his first Learning Lab, and we’re in the process of getting another one or two scheduled this week. As we do this, please determine this week whom you think it makes most sense for you (and some of your students) to visit sometime in Dec / Jan. Here’s the info you provided during our overnight about the general days / times that would be best (please update, if needed), and you can access each other’s Learning Lab Profiles on our site. Read through these two shorts docs (How to be the Host with the Most: Hosting Your First Learning Lab and its companion piece How to Be the Best Guest: Visiting Your First Learning), which Sam will try out this week. What do you think of these docs? Please look for our invite to make a quick comment about these docs in our Slack Channel “HostGuestDocs.” Helpful? Recommendations? Wonders? Revisit this single page overview of the four transferable skills & twelve indicators that this experience assesses. Then take a look at these two learning scales, which zoom in on the two of those twelve indicators that you’ll be making progress with as you prepare to host and visit Learning Labs. What do you think of these docs? Please look for our invite to make a quick comment about these docs in our Slack Channel “Skills&Scales.” Thoughts about these docs and/or how how we have / haven’t been using them? Wonders? Determine this week whom you think it makes most sense for you (and some of your students) to visit sometime in Dec / Jan. What are you thinking? Please look for our invite to our Slack Channel “WhereWeGoing?”, and please share your thinking about which Learning Lab you’re thinking of visiting and why. Wonders welcome. Wishing you a grace-filled break! Please enjoy a prompt-free vacation, though take a moment to read this poem to inspire a grace-filled break. Last week we shared an app (Shadow Puppet) with you. Wow is it a simple and powerful story telling tool! Bill was back at Common Ground center this weekend with this year’s What’s the Story? (WtS) cohort. Check out how he used Shadow Puppet on his i-phone to create and publish the story of WtS’s overnight experience (before the weekend was over!). There has been a lot of buzz about Ruha Benjamin’s Keynote Address at this year’s Rowland conference, and her message was referenced during our overnight, so we figured we’d pass it along. As this macro view of the Learning Lab experience shows, we’re now in the “Dress Rehearsal” stage of the course. Practically, this means it’s time to make our profiles live and begin scheduling our visits to each other’s learning labs, so begin thinking about whose lab it make most sense for you and some students to go visit, and begin taking the necessary steps to arrange these logistics. Next week you’ll sign up for our first round of visits. During our first overnight, we heard the need for a more casual and timely way to share ideas and resources, a complement to our more formal and intermittent blog posts. Peter Stratman suggested Slack, and thanks to his help, we’ve decided this app might be just the ticket. Here’ what we need you to do. To get the big picture / purpose first, check out this super handy thinglink (thank you, Peter Stratman! ); click on the resources (videos and a great article) to get familiar with what Slack is and does. Great place to start for those of you who like to see the big picture before jumping in. To jump right in, click here to join our LearningLab17 Slack space. Great place to start for the tech savvy who prefer to figure things out by jumping right in. The site provides a short tutorial. Locate a channel (much like hashtag conversations on Twitter) that relates to your work and make a comment or post a resource. We’ve been refining and codifying the front side of our website, which will feature your Learning Lab Profiles, and we need your feedback. Later this week (Wed) we’re going to send you via email our latest prototype along with a few quick questions. We’re hoping to see that you’re all up on Slack so we can seek your feedback in the casual / timely realm. Two-part Deadline: Please Slack by Wed, and then provide feedback to our Learning Lab Profile prototype by Sunday at noon. Check out this macro view of the Learning Lab experience to remind yourself of where we’ve been, where we are, and where we’re going. We love this app, which we used to make the slideshow we shared with you. Simple, versatile, and strongly recommended. Here’s the agenda from our retreat. Here is the document where you’ve all linked your Learning Lab Profile and posted your inquiry question. Next week we will be asking you to make some choices about how to make them live / public on our site, so it’s a good time to make any adjustments based on your recent experiences. Once these go live, we’ll begin scheduling visits to each other’s Learning Labs. Devoted to helping you get ready for (and excited about) our November 3 overnight at the Eco-Lodge in Starksboro, VT. Please do these three things in prep for this Friday’s overnight. Access this document right now and fill in your estimated time of arrival (eta). Be sure to arrive having drafted your Learning Lab Profile (The Elements of Our Learning Lab Profiles). Bring a computer / device to so that we can all get down to creating and sharing our Learning Lab plans and resources. Please check previous Weekly Huddles for basic information about Friday’s overnight. Otherwise, just do what you need to do to get your fatigued Friday body and mind to Starksboro’s Common Ground Center, and be ready to relax, have fun, and do some good work with a GREAT group of human beings. And if you’re tempted to bring those bongos or tap shoes, bring’m. And don’t resist bringing that favorite libation, either. Otherwise, we’ve got everything covered! Q: What are we going to do, and how should I prepare? To prepare, be sure to have completed all the prompts we’ve posed during the Setting the Stage phase of this experience. Also, this will be a weekend of sharing ideas and resources, so arrive ready to share some of your favorites when it comes to personalizing learning (i.e. project templates, reflection prompts, graphic organizers, letters to families, etc.). Q: Can Bill or Susan meet with me before the overnight to help me get ready? A: Yes, in person, by hangout, or phone can work. We will continue reaching out to each of you to help make sure all of us, regardless of the path or pace we’ve taken, arrive ready to move forward on Nov 3. Q: What about shelter, food, and footwear? A: You can check out what rooms look like here. All linens are provided. (If you have any particular sleeping needs, please let us know asap.) Meals are provided, though feel free to bring your favorite snacks. (Please let us know of any food preferences / allergies asap.) Finally, we recommend footwear that works for frisbee throwing and trail walking (or not). This Friday’s social will be in Waterbury from 4:00 – 5:30 at The Blue Stone. Welcome to a SPECIAL EDITION of The Weekly Huddle. On this, the 16th of October, we officially announce the cessation of prompts / assignments. We have 18 days to get ready for our Nov 3 overnight, and we are committed to making sure each of you has the time, feedback, and support you need to arrive ready for (and feeling good about!) our first ever full gathering. Sometimes it’s good to pause to revisit the big picture, so here again is a macro view of where we are in our LL journey. Here’s a closer look that zooms in to where we are now in the journey. Here’s a recording of last week’s hangout tuning of Sydney’s LL focus, and here’s the agenda along with the notes / resources generated during from the hangout. Our next social is on for Friday, October 27 from 4:00 – 5:30. We’ve had several recommendations for location (thanks to Sam, Lindsey, and Stephanie). Please add your two cents. We’ll make a call at the end of this week. Regardless of your path and pace so far, we’re hoping the next 2 – 3 weeks can be a time for you to pause and determine how you’d like to add to / refine what you’ve started in preparation for our Nov 3. We recommend that you take a tour through our Weekly Huddles to remind yourself of where we’ve been, what’s been assigned, and what’s been shared. Bill chose to simply copy The Elements of Our Learning Lab Profiles, and he’s been adding to it over time. Here’s his draft so far. Susan decided to try a few ways to convey her profile information: one as a blog post, the other being the same information but as an interactive Thinglink. Allison took a stab at creating an infographic to capture her profile information. To see this early draft, access our homepage and then find it in the Educator Profile dropdown. As we round the corner and head toward our first full group meeting, please ask for the help you need, and expect that Susan and I will be reaching out to each of you individually to help make sure all of us, regardless of the path or pace we’ve taken so far, arrives ready to move forward on Nov 3. We’re not getting down to the nitty gritty details this week, but a few things you should know. We’re convening and staying over in Starksboro at the EcoLodge on the property of the Common Ground Center. Very comfy place. Here’s our digs. Take some time to read through the description and see the photos that show the space and the rooms. Will help you get a sense of the place. Please arrive between 4:30 – 5:30 on November 3 and expect to stay through lunch the next day. Meals will be provided, though we might all bring one of our favorite snacks to share. More on that next week. If you have any particular food allergies / needs, please let us know asap so we can make sure you’re well fed and feeling good. Welcome to The Weekly Huddle, a regular communique from Susan & Bill designed to connect, inspire, and inform our network of Learning Labs. Last week’s prompt generated great discussions / material, and the FlipGrids helped us get a better sense of your current thinking. If you haven’t created a FlipGrid and/or replied to your colleagues blogs yet, please do asap. Based on last week’s FlipGrids, we made this interactive Thinglink to show where your Learning Labs are falling on Cuban’s Personalized Learning continuum (represented by a bridge). Open that link and hover your cursor over the little circles to see where you and your Learning Lab mates’ projects land. We had a small but hearty group that met Friday afternoon. Consider joining us this Friday when we gather at Lost Nation Brewing from 4:00 to 5:30. We’ve got one more social opportunity on Friday, October 27, and we’re seeking input as to where to hold it. If you’re interested / able to join us, please access this google doc to nominate where you’d like us to meet. Join us for (or afterward watch the recording of) a 30-minute google hangout this Thursday from 3:05 to 3:35. Robyn Alvin and Sydney Copp are joining Bill and Susan to share their current focus and work together to fine tune & exchange resources. We will send out an email with directions Thursday morning. Whether you join us live or watch the recording afterward, we think that this conversation will be helpful to all of you. If you haven’t already, please complete last week’s prompt (the Flipgrid we launched & replying to your Learning Lab mates’ blogs). Deadline: Please complete these tasks by Sunday, October 15. We’re going to organize a few informal Friday gatherings throughout October, beginning this Friday, October 6 from 4:00 – 5:30 at Prohibition Pig in Waterbury, VT. Stay tuned for October 13 and 27 times / locations, and if you’re able, please join us for one or more of these chances to get to know your Learning Lab mates better. Now that the year is in full swing and you have a feel for your learners and your particular site, it’s time to begin thinking through your Learning Lab’s focus (aka your inquiry question) and the publishing of your Learning Lab Profile. We hope that this week’s two-part prompt helps you make progress with both. We forecasted that we’d share a range of resources with you this week. No pressure to do anything with these, but for those eager to dive in, help yourself. Last week Bill kicked off this WORKshop series, orchestrating the first of four WORKshops, Personalized Learning: Students Learning Anywhere & Anytime with Whom & How They Choose. Check out the resources generated for and during last week’s WORKshop. We also planned to share with you our Learning Lab Profiles as models for you to emulate. So far, though, we’re disappointed with the aesthetics of our design, so we’re going to invite some of you (and some other experts we know) to help us work through the kinks of getting things to be both practical and pleasing. While we crowd source a solution to our aesthetic dilemma, check out The Elements of Our Learning Lab Profiles, which will help you begin thinking about your Learning Lab Profile. Please create a new Flipgrid recording. You will see the prompt when you open that link, which basically asks you to describe your current thinking. These responses are meant to be formative snapshots, so no pressure to have definitive ideas about the focus of your Learning Lab (but okay if you do). Make a copy of The Elements of Our Learning Lab Profiles, and begin pulling together the elements in this google doc. Deadline: Please complete these tasks by the end of October 8. Next week we’ll begin scheduling another round of site-based coaching sessions. Begin considering whether you’ll want to have one of those in early October, or if you’re good to wait until later in October. Next week’s prompt will, among other things, ask you to make another FlipGrid recording. This time you’ll have 120 seconds to describe to your LL mates your focus and the inquiry question(s) you think you and your students will be digging into this year in your Learning Lab. In Continuum on Personalized Learning: First Draft, Larry Cuban provides an instructive overview of the different ways specific schools are defining and implementing personalized learning. Deadline: Please read the Cuban piece and respond to colleagues’ posts by Sunday, October 1. Glad to report that our website is up and running; sorry to those of you who tried to access it while it was down. Thank you for continuing to chip away at these weekly prompts, which are helping us get to know you and causing you to create materials / consider ideas that will help you finalize and publish your Learning Lab Profile in prep for our overnight retreat (Nov 3 / 4). Once you have finalized and published your Learning Lab Profile (mid October), we’ll stop with the drip, drip, drip of weekly assignments and instead invite you to dive into the waters of telling and showing the story of you and your learners’ Learning Lab. We created this view to zoom in and forecast what you can expect in the days leading up to and right after our Nov 3/4 overnight. This Week’s Prompt: Excerpt from Experts / Now What Do I Think? Please study this three-page text, excerpted from Handbook on Personalized Learning for States, Districts, and Schools. How does this text affirm, disrupt, and/or inform your thinking about our three framing questions? (What is personalization? How is it similar to / different from differentiation? What are the design features of learning settings that get personalization right?) Please limit your response to 500 words. Deadline: Please make this blog post no later than the end of Sunday, September 24. Welcome to the 3rd edition of The Weekly Huddle, a regular communique from Susan & Bill designed to connect, inspire, and inform our network of Learning Labs. Susan and Bill continue to meet and have productive coaching sessions with you and your LL mates. All of you are settling into the rhythm and demands of the year, and this is helping you think more concretely about your Learning Lab Profiles. Each of you, with our support, will continue to think through your Learning Lab Profile through mid-October, when you’ll each finalize and make public your Learning Lab’s inquiry question. Some of you have already introduced your students to the Learning Lab concept, and some of you are thinking through how / when best to do this. We recommend getting students on board soon, even if it’s just to share the concept. When you’re ready to invite students to lean in, we recommend that you differentiate the roles students can play in your Learning Lab, depending on their interest and the inquiry question you settle on. Here’s a glimpse into some of Sydney’s early b-storming, captured by Susan during a recent coaching session. Student Computer station- for the “host”, “tech leader”, “class captain” or other name…rotates weekly? Daily? Only students who want this role…. the student there starts each class by pulling up the Schoology course and showing the assignment, mission, or essential information for the day; reiterating what I have posted on the board, Schoology, etc. Throughout this LL experience we will return to these three questions. How is it similar to / different from differentiation? What are the design features of learning settings that get personalization right? Deadline: Please make this blog post no later than the end of Saturday, September 16. Welcome to the 2nd edition of The Weekly Huddle, a regular communique from Susan & Bill designed to connect, inspire, and inform our network of Learning Labs. In addition to providing updates, reminders, and resources, The Weekly Huddle will include a prompt / assignment and directions for when / where to submit yours. We’ve decided to extended last week’s blog prompt (Seven Photos / Seven Captions) into this week, so those of you who weren’t able to get it done can do so this week. We’ve also decided to forecast what the next week’s blog prompt will be, so you can begin mulling it over (see below). Susan and I have been humbled and moved by you and your LL mates’ Looking Back to Look Forward posts (pivotal moments). What a powerful way to begin (and sustain) a learning experience, pausing to look back and make sense of how we got where we are, before making plans for moving ahead. During a coaching session with Bill Fishell and Stephanie Zuccarello, while considering ways to have students get to know each other at the start of the year, they got to thinking about how to invite students to do some looking back for pivotal moments and sharing with others. We also thought together about how this might be spiraled throughout the year, rather than just a year-opening activity. A quick reminder of a few resources we’ve used with you that might be helpful with your students: FlipGrid, Looking Back / Pivotal Moments, Teaching Dreams. Here’s a great, short video (You Can Learning Anything) that can be a good resource as part of any year-opening sequence. Deadline: No later than the end of this Friday, September 8. We’re going to ask each of you to draft a response to this course’s three essential questions. We will provide a few resources that might help focus your response and / or provide examples from which to pull as you develop your thinking. Here’s the simple version of those questions. Welcome to The Weekly Huddle, a regular communique from Susan & Bill designed to connect, inspire, and inform our network of Learning Labs. We won’t meet often as a group, so this we will use this tool to get and stay in sync. In addition to providing updates and resources, The Weekly Huddle will include a prompt / assignment and directions for when / where to submit yours. 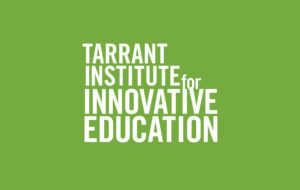 We’ve launched our TIIE Learning Network, and our entire cohort is up and running. If you’re wondering who all’s on board, check out our FlipGrid introductions. Now that the school year is beginning, please pause to remind yourself of where we are now in this year-long Learning Lab experience. So far our site-based coaching sessions have been productive, and we look forward to finishing up our first round of these next week. Please continue to revisit and refine your Learning Lab Profile, and if you find yourself stuck or simply wondering if you’re on the right track, contact one / both of us to ask. We marketed this opportunity with this website, which does a good job providing a basic overview of the design, outcomes, and products of this experience. If at any point you feel the need to back up and see again what this is all about, that’s a good place to look. We then created the website that we will use to construct and publish the meaning we and our learners make together as we pursue our three framing questions: What does personalization look like? How is it similar to / different from differentiation? What are the design features of conditions that get personalization right? As you re-enter the rhythm of the year this week, please take notice (and photos) of the geographies around and within the school where you work. What does the school / surrounding area look like? What does your classroom / setting look like? After noticing and taking a whole bunch of photos, select the seven that together provide the most vivid and telling snapshots of where you and your learners will be learning together this year. Please post this in your blog, and include a single-sentence caption for each. We encourage you to invite students to take part, though this is not required. Deadline: No later than the end of Saturday, September 2.